Aside from being a master of words, Hemingway also has the benefit of being right about the season’s effect: Spring fever is probably real. It got me thinking and doing a little research as I am prone to do when curious and in need of a new blog post. A 2004 University of Michigan study that found people who spent at least 30 minutes outside in pleasant weather, either by taking a trip to warmer climates in the winter months or by taking advantage of a newly warm spring day in the park, had happier moods. And in corroborating research, its 2014 study found that being outside could lead to a better mindset and reduced stress. But if you’re still stuck in the tundra, don’t worry too much. Weather pales in comparison to other stress mitigators, such as the lessening of relationship or work pressures. While warmer weather doesn’t make a sizeable difference in outlook, research supports the idea that nice weather has a positive psychological impact on the overall population. The weather-mood connection is a positive one, up to a point. The original University of Michigan researchers also noted that positive attitudes seemed to wilt in particularly sweltering weather — an idea that’s also supported by other research conducted on climate and mood change. Despite the fact that summer brings sunnier days and brighter colors, people are at a greater risk for heatstroke and dehydration during the warmer months. There’s clearly a sense of discomfort because of the oppressiveness of the heat. Both dehydration and heatstroke can have an influence on mood or behavior and, at their worst, can also damage the brain. Daylight Savings Time (DST) may have brought a series of grumbles “What do you mean we lose an hour of sleep? !” but it does have one positive perk: More sunlight. People simply feel better on longer days and when there’s more available sunshine. The winter variety of seasonal affective disorder (SAD) is mostly tied to how long the day is. So even though spring was a little slow coming this year, the days are still long. Those extra hours of sunlight make a really big difference. While it’s much less prevalent than the winter variety of SAD, some people do suffer from spring and summer SAD. Diagnosing and treating the disorder can be complicated mainly because conducting research on this specific type of depression is more challenging. Experts theorize that warmer-weather SAD is aggravated by excessive heat and humidity. Those triggers are really different than wintertime, which is brought on usually by lack of light and shorter days. It’s really a few people that we’re talking about as opposed to the wintertime SAD people can relate to on some level, but it does happen. There also appears to be a seasonal connection to an increase in human conception. In Europe, there seems to be a 10 percent above-average increase in births during the month of March, meaning the babies were conceived around June. Research also suggests that men’s testosterone and women’s hormones linked to ovulation spike to above-average levels in June. What better way to exercise than outside in the sunshine? “Spring fever” seems to be an actual phenomenon, and one way people indulge in it is through a more active lifestyle. Exercise can lead to a boost in endorphins — the same feel-good chemical that may come from warmer weather. 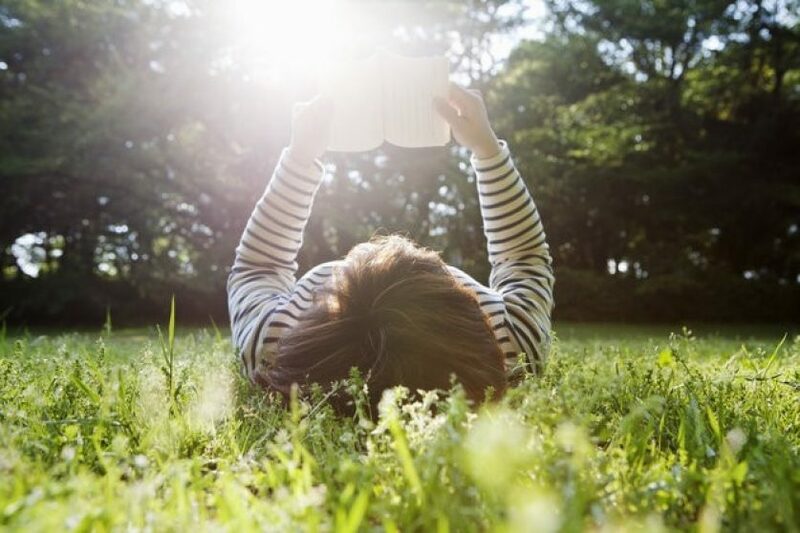 The University of Michigan study also found that being outdoors in enjoyable climates can improve memory and broaden cognitive style, which is linked to more creative thoughts. Being outside in pleasant weather really offers a way to reset your mindset. Everyone thinks weather affects mood, but the biggest tests of this theory found no relationship, so I went back and found there are two important variables: how much time you spend outside and what the season is. If you go from winter to spring and spend enough time outside, there’s a noticeable change. So there you have it. I feel this sudden increase in energy gets me wanting to do things that have lied dormant all winter, such as spring cleaning. I’ve written before about spring cleaning your finances. So this time, I will just mention that it’s a good idea. Its also a good time to give everything a good shaking like taking a rug outside. Your financial advisor can assist you with this. Spring is a recurring chapter in Keeping Life Current.